How Much Is The Cost Of Rehab? The truth is that we should not allow the cost of rehab to determine whether someone gets treatment for drug and alcohol addiction. Yet there’s also the truth that for a large percentage of people struggling with dependence, the perceived cost of drug rehab centers is what stops them from entering treatment in the first place. Oftentimes people have no idea how much they should expect to spend, but they fear that it might be too much. According to the National Survey on Drug Use and Health, the second most common reason that people did not receive substance abuse treatment, despite wanting or needing it, is a lack of financial resources or a lack of health insurance. This comes second after the fact that some respondents were just not ready to stop abusing drugs or alcohol. Even though there are some luxury options that charge higher rehab prices, the fact is that there are treatment options to fit nearly all budgets. There are luxury treatment options that cater to the financial elite who charge thousands of dollars per week, but there are also sliding scale programs that will drastically reduce the average cost of rehab. The cost of drug rehab centers vary wildly from center to center. It is important to speak with individual treatment facilities and insist on receiving accurate information about the different costs options as well as the type and level of care provided from each. Some people will argue that it is possible to become sober on your own. Despite the fact that this is technically possible, those who manage to do so are a statistical anomaly. Participating in a comprehensive inpatient treatment program is a proven factor that can help reduce the chances of a relapse and increases the likelihood of that person remaining sober. Figures from the Drug Abuse Treatment Outcome Studies (DATOS) show that when surveyed five years after they have completed their cocaine addiction treatment, only one-in-four of the people who enrolled in long-term treatment programs were still using the drug weekly. 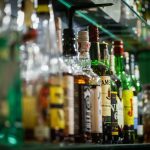 Statistics also show that the number of arrests, levels of illegal activity, and levels of alcohol abuse drastically decrease in those who seek treatment at inpatient rehab centers. 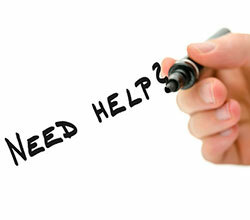 We know it is effective, yet people still decide to go without getting professional help. Considering that cost appears to stop a number of people, what determines the cost of rehab centers? The level of care – It makes sense that the cost of inpatient rehab increases if the treatment services are more intensive. Despite the fact that it means additional costs, inpatient treatment programs that may include medical monitoring have a better success rate than the traditional outpatient centers that only offer the participants a temporary location to receive treatments. The duration of treatment – Long-term residential care is more expensive than a short-term residential treatment program that only lasts between a week and a month. This is not unlike a stay in a hotel: if you are going to stay longer, it is going to cost more money. 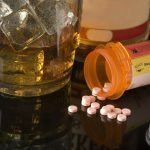 The reason that patients will often opt for long-term treatment is that studies show that these programs lead to longer periods of abstinence after rehab and far lower relapse rates. Staffing – When people ask the question ‘how much do rehab centers cost’ – one factor that they often overlook is the cost of personnel. Yet this happens to be the most significant expense for drug rehab centers. If there are more staff members available to offer customized care, the average cost is likely to increase. The average cost for a drug rehab program can also be greatly impacted by the level of qualifications of the counseling staff. Geographical location – Most people might not consider this at first, but the local economy can influence the average cost of drug rehab. This is one of the reasons that it might be more affordable to receive drug treatment in the Midwest rather than on the West Coast. Keep in mind that this does not mean that you cannot find reasonably priced treatment options throughout the country. Source of funding – Going through a non-profit treatment center that relies partly or completely on public funding is less expensive than receiving treatment at a private facility. However, it is important to remember that these government-sponsored programs do not offer the same one-on-one attention that private programs are able to. This means fewer chances for support groups, family therapy, and personal counseling. Additionally, there is often a long waiting list before enrollment in these non-profit treatment centers. Sometimes people look at the cost of inpatient treatment options and wonder whether outpatient (which is more affordable) is just as effective. The statistics are clear – it is not. Inpatient recovery offers the most comprehensive form of treatment. Rather than having to focus on outside distractions, inpatient treatment allows for the complete focus on recovery. Patients are better able to attack their addiction issues because they are removed from the stress of their regular lives. The largest obstacle to getting effective drug rehab is not necessarily the lack of money; it is the lack of information. Oftentimes you can talk to an intake counselor at a rehabilitation center to come up with a payment plan that might be feasible for you. Payment options such as the sliding-scale fee structure can make it possible for patients to afford treatment that would otherwise be out of their reach. Most insurance providers will cover some type of treatment – different policies and carriers have different levels of coverage for rehab. This means it is important to contact your insurance provider and see what might be possible. When it comes to the cost of rehab or drug rehab, it is important that the alternative – doing nothing – is simply not an option. Addiction does not get better, it does not just gradually go away on its own, there is no way to get away from dependence without addressing the problems, and it is next to impossible to remain sober without dealing with the underlying issues. How much is drug rehab worth? The question that people should be asking is how much is the cost of NOT addressing the issue? Because as much money as rehab might cost, the cost of not addressing the problem can be tenfold and might just cost the individual everything.